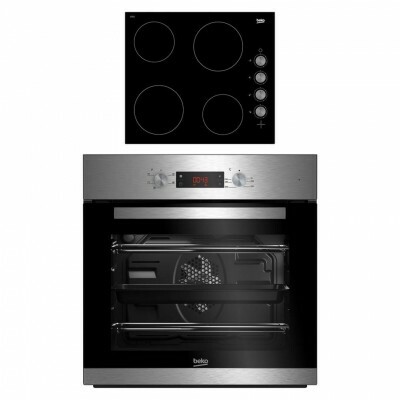 Beko CIF81X- Bring in a little more style and convenience to your kitchen with this built-in electric oven from Beko. The 60cm design can be integrated into your kitchen units for a streamlined look. Fan Oven with Variable Grill The single cavity CIF81X from Beko has a massive capacity of 66 litres, and four cooking functions. 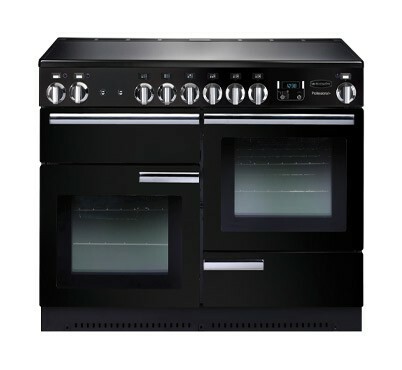 As it’s a fan oven, it’ll heat up quickly, cooking food in less time and at lower temperatures than a conventional oven. There’s also an integrated full width grill – perfect for browning dishes, cooking bacon or making toast. As a variable temperature design, you can adjust the heat of the grill for perfect results every time. The grill with fan cooking function is ideal for cooking meat and poultry. The fan circulates the heat around the entire cavity, while the grill cycles on and off during cooking. This will keep your food moist on the inside, and crispy on the outside. Cook at a Height to Suit You Enjoy the convenience of installing this built-in oven within your kitchen units, either under a worktop or higher up on the wall. Place it at eye level, and you’ll be able to see how your food’s doing without having to bend down. This also makes it easier to get dishes in and out, eliminating the need to stretch or strain. Integrated appliances like the CIF81X are perfect for creating that high quality finish in your kitchen. With an attractive stainless steel exterior and large double glazed door, this Beko oven looks modern and stylish. Additional Features Beko have included two wire racks and a grill pan with this model, so that you can get cooking straight away. It also features easy grip control knobs, and a programmable LED display – handy for setting a timer to let you know when your food is ready. Beko CIHV21B- With Beko's SimplySteam cleaning function, enamel formed runners in the oven cavity, as well as glass doors, you’ll find this oven is easy to clean. The glass doors on the CIF81X are also double glazed, helping to keep the outside cool to the touch, and to keep the heat inside the oven - this has helped the Beko oven to achieve an A rating for its energy efficiency. This large viewing window and interior light also ensure maximum visibility, so that you can closely monitor whatever you’re cooking. Get peace of mind with a two year promotional guarantee (one year standard plus an additional one year). 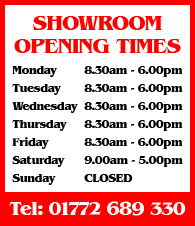 Simply register the product within 90 days of purchase either by phone 0800 597 8646 or online at beko.co.uk/register. This fantastic model is exclusive to Euronics and Agents stores so you won’t find it anywhere else – order yours today. If you’re after a modern looking hob with some great features, the Beko CIHV21B will be right up your street. This smart, sleek ceramic hob heats up quickly and is easy-to-use so you can cook up a delicious meal in no time. Practical Design With its black surface and frameless design, this Beko hob will look perfect in your kitchen. Measuring 60 cm in width, the CIHV21B is the same size as most ovens. Fit it above your existing oven to keep all your cooking close to hand, or position it anywhere you like in your kitchen for better flexibility. Four Cooking Zones The four cooking zones on the CIHV21B are perfect for different sized pots and pans. All four are Rapidlite zones, which provide fast heating so you can cook up a storm in no time. Ceramic Surface Keeping your hob clean can sometimes be tricky, but the CIHV21B is different. Ceramic hobs are much easier to clean than conventional hobs, as there are no raised areas for pans to sit on. The wipe clean surface is left spotless and sparkling with very little effort, letting you get on with your day. Safety Features Unlike with gas models, it can be difficult to tell when an electric hob is on. To help prevent any accidents, the CIHV21B has a handy on/off light. If that’s not enough, each of the cooking zones has a residual heat indicator, which tells you whether they’re still hot to the touch. Precise Power Take control of your cooking with the Beko CIHV21B’s easy grip knobs. These side controls let you alter the temperature of the hob across different power levels, giving you more precision in your cooking. This fantastic Beko hob is exclusive to Euronics and Agents stores, so you’ll only find it here. Make sure you order the Beko CIHV21B ceramic hob while you can.